But on the inside, Lenox Health Greenwich Village is taking a brand-new approach to health care. 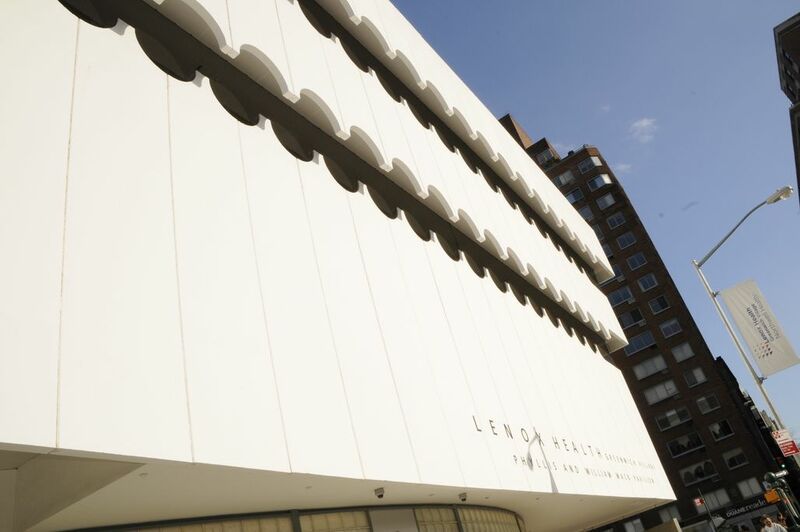 Lenox Health Greenwich Village, a division of Lenox Hill Hospital, is a state-of-the-art medical complex representing a new model of community-based care. Our facility currently includes a full service emergency department, a patient service center for blood collection and a state-of-the-art outpatient imaging center, allowing us to seamlessly integrate health and wellness services with 24-hour emergency care. When you come to Lenox Health Greenwich Village, you are not limited to the experience of the skilled staff members on site. All of our patients benefit from the extensive resources of Northwell Health and the collective knowledge of the system’s 200 emergency physicians, more than 300 paramedics and emergency medical technicians (EMTs), and approximately 2,000 emergency department staff. And while we’re dedicated to serving you, we don’t stop there. We’re dedicated to serving your community. That’s why we’ve coupled extensive research with input from community members and local physicians in planning the future of our facility and services. Our 24/7 full service emergency department treats a wide range of medical emergencies and has all the capabilities of a traditional hospital emergency department—exceeding those offered at urgent care. 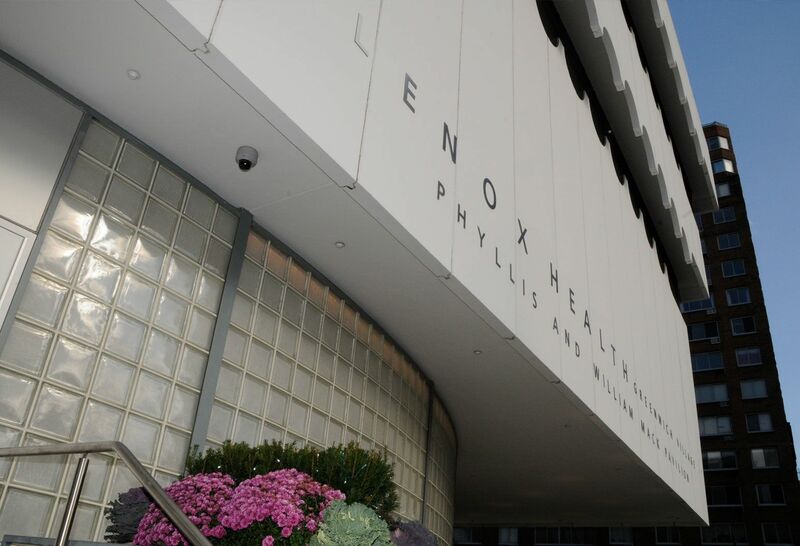 Take a look back at Lenox Health Greenwich Village's first year, and a look toward our future. In an emergency, time is of the essence. That's why our full service emergency department boasts short wait times to get you the help you need, when you need it. Lenox Health Greenwich Village resides in the landmarked National Maritime Union Building, built in 1964. Once named the Joseph Curran Building in honor of the National Maritime Union’s founder, the 6-story structure is an architectural fixture in Greenwich Village. The nautical-inspired building is most widely recognized by its porthole-shaped windows and a rooftop bulkhead resembling a steamship smokestack. Originally sold in 1974 and renamed the Edward and Theresa O’Toole Medical Services Building, the facility was donated to Northwell Health in 2011. Renovation of this facility has been a unique undertaking for a health system, with Northwell Health leadership seeking to balance the restoration of a unique aspect of the Village community with the creation of a modern emergency department to serve its population. Together, Phyllis and William Mack and Northwell Health created a state-of-the-art emergency department that replaced the void left by the closure of St. Vincent’s and revolutionize the way we deliver emergency care. The support from Phyllis and William Mack has touched tens of thousands of people who have stepped into the Phyllis and William Mack Pavilion for care. 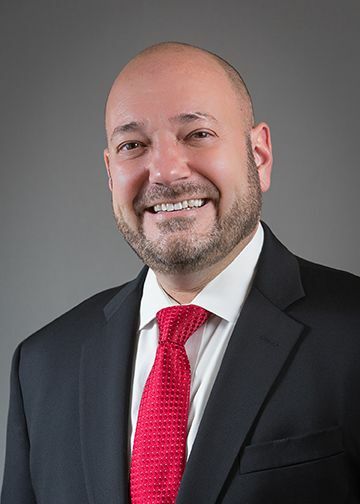 The Mack name will be forever linked with developing a network of care in downtown Manhattan and fulfilling the needs of a growing community. How did we renovate a 1960s building into a 21st century medical facility? 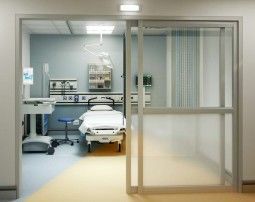 The $150 million project included a dramatic transformation of the interior to design an experience of emergency care unmatched in New York City, with upper floors that house doctors’ offices, rehabilitation facilities, imaging services, orthopedic services and same-day surgery suites. Through consultation with the building’s original architect, Albert C. Ledner, the team restored the exterior to much of the original design and was even able to make a modification that the architect had in his original plans but had been altered – the removal of the tile cladding to the building exterior and replacement with a fresh coat of vanilla ice cream-colored paint. As it begins its next half-century, the O’Toole Building has entered its third incarnation as home of Lenox Health Greenwich Village, bringing a model of emergency care and ambulatory services as distinctive as its community and architecture. 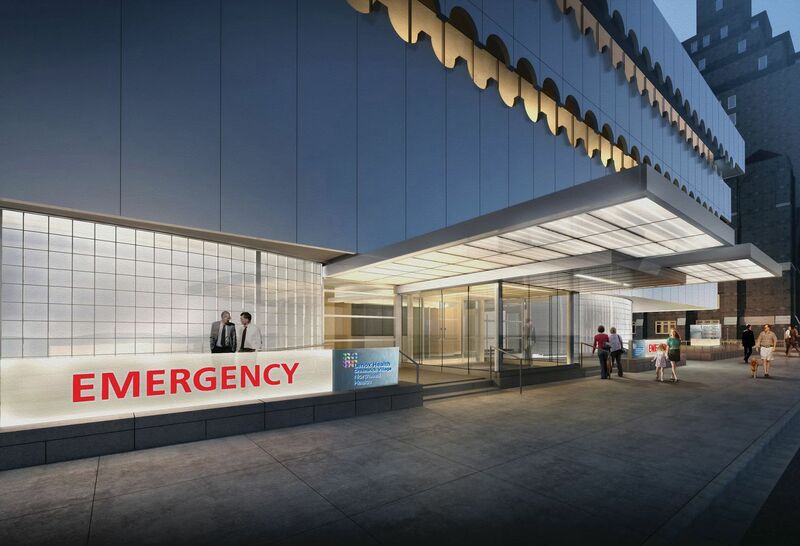 The $150 million project included a dramatic transformation of the interior to design an experience of emergency care unmatched in New York City, with upper floors that will house doctors’ offices, rehabilitation facilities, imaging services and same-day surgery suites.